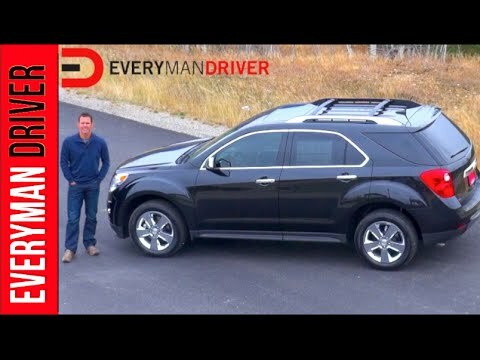 The 2013 Chevrolet Equinox competes against compact crossovers like the Toyota RAV4 and Honda CR-V, but its larger size makes the Chevy feel more substantial. The Equinox trails others in cargo capacity, but offers more passenger space, a quiet and compliant ride, and commendable towing capacity with the optional V6 engine. From the reports of passengers I've been told the back seats are not very comfortable. Being a short woman I have found the level of the window is too high even with the seat up I cannot comfortably find a position to rest my arm on the window and drive. The backup camera is wonderful except the alarm, it goes off constantly, I wish it wasn't as loud or extreme, maybe had a better sensor where it wouldn't beep at things that really are not in harm's way. I love the ability to move the back seats up or back depending on if you need more trunk room! I love the way it drives and reliability. It's one of my favorite vehicles I've ever owned. Knit picking the Chevy equinox. I like my Chevy equinox. It's really good on gas, the little 4 cylinder motor has pretty good pick up. The things I do not like is, you are only going to be able to put 2 car seats in the back. The mirrors are kind of small, they need to be a little wider considering the vehicle has a bad blind spot. The window controls need to be further down and not so far up, I always roll the back windows down and not the front because of this. But other than the knit picky stuff, the car is a smooth ride, handles turns really well. Maintenance is fairly cheap, has awesome sound in the car. I am pretty happy with the vehicle overall. Love this small but roomy, very safe vehicle. I haven't had any problems, but there is a recall for the wiper motor. I love this vehicle. It is roomy without being too big. I feel like it is the perfect vehicle for me. I can see well out of all the windows. I have driven it on multiple trips and had no complaints and no worries about it breaking down or anything. I feel completely secure in this vehicle. I have let my niece drive multiple times because I know she is safe in this vehicle. If I ever need another vehicle, it would another Chevy Equinox.